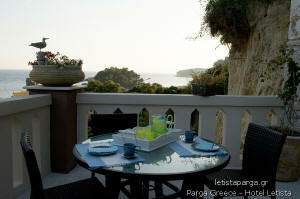 The hotel villa letista Parga is built on the slopes of the hill in Parga. 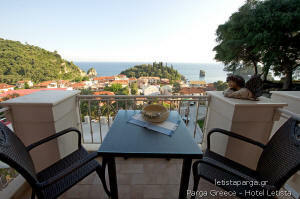 A few meters from the beach Kryoneri the main beach of Parga and 3min walk from the port town of Parga. Made with care and personal care, consists of two buildings that can accommodate a total of eleven studios, with special touches each of them. Surrounded by ancient olive trees and flowers offered generous peace and warmth. From the balcony of every one can enjoy views of the village and the blue sky and sea around the island of Virgin Mary. Just 100 meters from the beach, harbor, shopping streets and close roads link the village, the villa letista, make the visitor forget the car. he family hospitality combined with fully modern requirements of the hotel make diamonmi memorable. 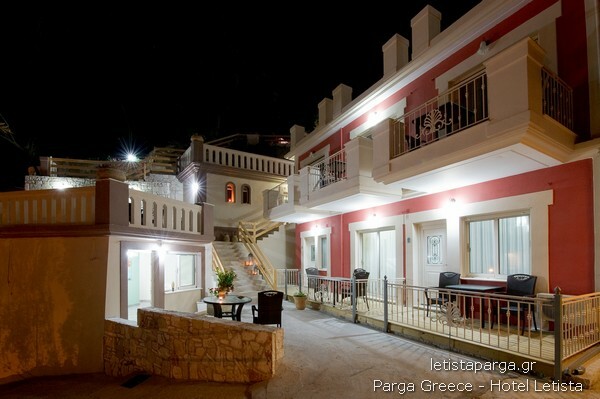 The hosts are always eager to inform guests about everything you need to know about Parga and the area around it. Copyright © 2011 e-parga.com . All Rights Reserved.